JEE Main 2018 Seat Allocation (Special Round) has been released on 28th July 2018. JEE stands for Joint Entrance Examination which is the popular national level engineering entrance exam to be held yearly in India. JEE a common entrance examination for admission to different engineering courses. JEE score is the primary criteria for admission in Indian Institute of Technology and National Institute of Technology. 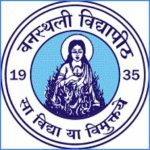 JEE Main 2018 Result has been released on 30th April (for Paper-1). Through this candidates will get admission in NITs, CFTIs, and other engineering institutions. JEE Main is also an eligibility test for JEE Advanced which offers admission to IITs & ISM. Applicants should have Aadhaar card issued by UIDAI for filling the application form New changes which are made by CBSE for candidates. JEE Main 2018 Seat Allocation (Special Round 1) has been released on 28th July 2018. Check here for counselling details. Get the latest updates & notifications about JEE Main 2018 Counselling & Admission Details. Check here. JEE Main 2018 Counselling (Registration & Choice Filling) for Special Round has been started from 24th July 2018. Check here for counselling details. Check details about JEE Main 2019 including notification, application, dates, eligibility, pattern etc. JEE Main 2018 Seat Allocation Result (Round 7) has been released on 18th July 2018.Check herefor counselling details. JEE Main 2018 Seat Allocation Result (Round 6) has been released on 15th July 2018.Check here for counselling details. JEE Main 2018 Seat Allocation Result for round 4 has been released on 12th July 2018.Check here for counselling details. JEE Main 2018 Seat Allocation Result for round 3 has been released. Check here for counselling details. JEE Main 2018 Document Verification & Seat Acceptance can be done from 4th to 5th July 2018.Check herefor counselling details. JEE Main 2018 Document Verification & Seat Acceptance can be done from 28th June to 2nd July 2018. Check here for counselling details. Important FAQs on JoSAA 2018 has been released. Check here for counselling details. JEE Main 2018 Mock Seat Allotment has been released on 19th June 2018. Check here for counseling details. JEE Main 2018 Counselling Registration & choice filling for AAT exam is starting soon. Check here for counseling details. JEE Main 2018 Counselling Registration & choice filling has been started from 15th June 2018. Check here for counselling details. JEE Main 2018 Counselling Notice has been released now. The counseling registration will be started from 15th June 2018. Check here for counseling details. JEE Main 2018 Result for Paper 1 has been declared on 30 May 2018. Check here for result details. JEE Main 2018 Answer Key, OMR sheet & recorded responses for Paper 2 is releasing on 10th May 2018. Check here for answer key details. Note: Candidates can obtain their OMR sheet & calculation sheet by sending a request to CBSE board with prescribed fee. JEE Main 2018 Result, Cut-off & Rank (for Paper 1) has been released. Check here for Result details. JEE Main 2018 Final Answer Keys have been released now. Check here for JEE Main Answer Keys & Question Papers. JEE Main Examination is done – Now what next? JEE Main 2018 Question Papers. Check Here Below. JEE Main 2018 Mock Test is available for practice now. Click here for mock test & preparation tips. JEE Main 2018 online examinations is conducting on 15th & 16th April 2018. Stay tuned for question papers & answer keys. JEE Main 2018 Application form can be filled until 2nd January 2018. Check here for an application. Remove Discrepancy in Uploaded Images has been started now. Click here for correction details. JEE Main 2018 Slot Booking facility will be offered to the candidates for online examination. JEE Main 2018 Notification & Information Bulletin has been released now. The application form will be available from 1st December 2017. Check here for application details. JEE Main 2018 Pen-paper, based (offline) examination will be conducted on 08th April 2018. The computer-based (online) examination will be conducted on 15th & 16th April 2018. Click here to view other dates. As per the sources, JEE Main 2018 online test would be conducted tentatively on 14th & 15th April 2018. Check more details below. Check here for JEE Advanced 2018. Exams dates of JEE is Application form release, Application Form Close, Image Correction Facility, Last date of fee payment, Application form correction window, and Release, of Admit Card etc is described below. The result of JEE Main has been declared on 11th June 2018. through online mode. The result of paper 1st will be released last week of April and 2nd paper on mid of May. Through online, official portal candidates can check result. It will be published online by CBSE authority. All India Rank (AIR) for paper 2 will be published on 31st May 2018. Candidate those wants to check result on online have to enter their roll number and date of birth and click on the submit button to generate their scorecard. If the candidate has the type incorrect detail page will show error. Candidate can save in laptop/computer or can take the screenshot on the phone for further use. The result of JEE Main will be declared in the last week of April through online mode. JEE Main result indicates actual scores and rank secured in the entrance examination. On the basis of JEE Main result, students will also get the idea about whether they are eligible for appearing JEE Advanced or not. All India Rank (AIR) will be considered for admission to IITs, NITs, IIITs, CFTIs, SFTIs, and others. The JEE Main 2019 Exam will be administered by the National Testing Agency (NTA). It is a national level examination. It is organized to offer admission to B.Tech and B.Arch courses offered by NIT, CFTI and other engineering institutions. Qualified JEE Major students will also be eligible for the advanced JEE exam. The Ministry of Human Resource Development, Government of India has introduced some new changes in the pattern of JEE Mains. So candidates are suggested to stay update about JEE Main. For JEE Main 2018 exam, CBSE has announced to establish 258 exam centers, out of which 248 are in India and 10 outside India. No weight will be given to 12th class marks for calculating All India Rank (AIR) in JEE Main. No verification will be required for 12th class roll number. Candidates from Meghalaya, J & K and Assam are excluded from this provision. Such candidates have to enter passport number, ration card number, bank account number or any other valid Govt. identity number to get examination center in these states only. After submitting the application form, candidates start searching the admit card. JEE Main 2018 admit card has been issued on 12th March 2018. CBSE has released the admit card through online mode. The board has also provided the facility to book the slot for the online mode examination. 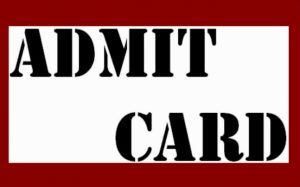 Admit card contains exam schedule, exam center details, candidate’s roll number, etc. Admit Cards/Hall ticket is a mandatory document for the candidate. Its Candidates responsibility to keep safe their hall ticket until the end of exams. Candidates should bring Hall ticket at the time of examination if not bring candidate will not allow writing paper at the exam center. 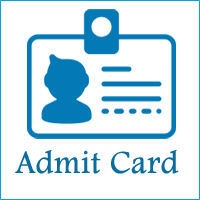 Admit card contains candidates related detail such as roll number, name address, centers, and a birth of date etc. Candidates are advised to keep printed copies of it for further use. After submitting the application form, candidates start searching the admit card. JEE Main 2018 admit card will be issued in the on 12th March 2018. CBSE will release the admit card through online mode. Admit card will contain exam schedule, exam center details, candidate’s roll number, etc. The institutional answer key has been published on 8th April 2018. Candidate can download images of response sheets (OMR sheets) and question paper through online, official portal.CBSE will publish the JEE Main answer key & images of response sheets (OMR) of paper-1 and paper-2 during 10th May 2018. Candidate can download it after the completion of the examination. Its CBSE responsibility to declare the answer key of JEE main Through answer key candidates can their answers with the official answer key to know the expected marks Those who are not satisfied with the answers may challenge the answer key by paying Rs. 1000/- per question. Application from JEE Main will release on 1st December and Application Form will Close on 1st January 2018. Candidate should fill and submit the application before the due date if candidates give after the due date application will be canceled. The application form will be available through online, official portal of authority. Applications are expected to be released in the first week of December. In addition to filling personal & academic details, candidates also have to upload scanned images of photograph and signature prescribed specifications. Candidates can download the acknowledgment page as the proof of successful submission of application form. Candidates can pay JEE application fees through online. Online paying is possible through credit card/debit card or e-challan etc. Once candidates remit or pay by online it will not be refunded back to candidates. Candidates are advised to keep fill application form printed copies of it for further reference and use. Correction window will also open for correction in application form details like the change in exam mode from PBT to CBT, a city of examination, change in paper-2 to paper-1. Candidates must know about eligibility criteria of JEE main. Candidates may face difficulty t time of admission process if they fail to know the JEE eligibility criteria. Candidates completed Diploma (3 years) holders are also eligible to apply. He/she appearing/passed a 12thor equivalent exam in 2015 or 2016 with PCM are also eligible to apply. 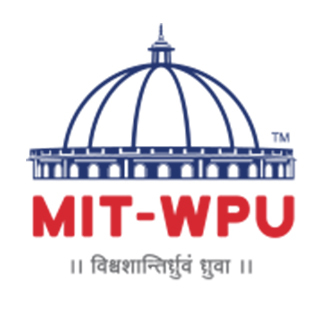 Below is provided Age Criteria, Qualification Criteria, Number of Attempts, and Eligibility For Admission to IITs, NITs, CFTIs etc are provided here. Date of Birth: Candidates those born on or after 1st October 1993 are eligible for writing the JEE Main examination. Relaxation:5 years relaxation shall be provided in the upper age limit for SC/ST & PWD candidates (i.e. DOB falls on or after 1st October 1988). No Minimum Marks: There are no minimum marks required in a 12th examination for writing the JEE Main exam. However, candidates have to secure the passing marks. Percentage Marks: To be eligible for admission in IITs, NITs, CFTIs, candidates should have obtained 75% marks in the 2nd examination or must be in the top 20 percentile in the 12th examination of respective boards. The qualifying marks for SC/ST will be 65%. Candidate will be given 3 hours to complete paper no extra time will be given to any candidates by supervisors as or rules and regulation of the board. Paper mode will be conducted in the various language which is mention below in detail. The question will be objective type questions in paper 1 and 2 in exams. Below paper 1 and 2 courses, exams date, time duration, paper mode, language, subjects’ etc following are mentioned below. Number of Questions:30 questions will be asked from each subject with the total of 90 questions comprising of 360 marks. Marking Scheme: Candidates will be provided with +4 marks for each correct answer. Negative Marking: In a case of the wrong answer, one mark will be deducted. Course: Paper-2 is conducted for admission to Arch/B.Planning courses. Negative Marking: In the case of the wrong answer, one mark will be deducted. JEE Main exams schedule is prepared which detail is provided timing of paper 1 and 2 etc. Candidates score above the cut-off marks will get admission in the top colleges of the country. Every year’s different college and institution change cut-off marks according to various factors such as number of students appearing for the exam, difficulty level of exam, etc. 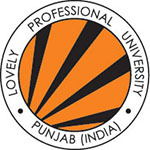 The Different college and institution has different cut-off marks. In order to be eligible for JEE Advanced and for admission to top colleges, students have to secure cut-off marks. JEE Main 2018 cut-off will be announced after the completion of the exam. Meanwhile, students can check the previous year’s cut-off marks. JEE Main 2018 cut-off will be announced after the completion of exam. Meanwhile, students can check the previous years cut-off marks. Candidates have to face different rounds of counseling. Candidates passed in it will be select for admission. Candidates will be called as per ranks obtained by candidates in the merit list. Candidate appearing counseling session have to bring all original requirement document with them documents list is given below. If in case candidates had submitted an incorrect document that candidate’s admission will be canceled. JOSAA /CSAB are the authorities which conduct the centralized counseling for admission to NITs/IITs/IIITs and CFTIs. Admission will be offered to the candidates based on AIR and choices filled by them. To get seats, it is mandatory for the candidates to participate in counseling and seat allocation process. There are a huge number of colleges in every state that also offers admission through JEE Main. To get admission in these colleges, students have to apply separately in state counseling. Candidate appearing exams of JEE main is suggested to gather all required information regarding JEE syllabus, Exams Pattern, and Dates. From the syllabus paper of 1st and 2nd will be set. If Candidate gets familiar with previous year question paper candidates will get knowledge about exam pattern and questions weightage. JEE main 1st paper in exams will asked from B.Tech (Engineering) while paper 2 will be asked for architecture (B.Arch). Candidates are suggested at the time of exams write that question you know very well than write difficult question answer this will give you time to complete paper. General topics: Concept of atoms and molecules; Dalton’s atomic theory; Mole concept; Chemical formulae; Balanced chemical equations; Calculations (based on mole concept) involving common oxidation-reduction, neutralization, and displacement reactions; Concentration regarding mole fraction, molarity, molality, and normality. Gaseous and liquid states: Absolute scale of temperature, ideal gas equation; Deviation from ideality, van der Waals equation; Kinetic theory of gasses, average, root mean square and most probable velocities and their relation with temperature; Law of partial pressures; Vapour pressure; Diffusion of gasses. Atomic structure and chemical bonding: Bohr model, the spectrum of hydrogen atom, quantum numbers; Wave-particle duality, de Broglie hypothesis; Uncertainty principle; Qualitative quantum mechanical picture of the hydrogen atom, shapes of s, p, and d orbitals; Electronic configurations of elements (up to atomic number 36); Aufbau principle. Pauli’s exclusion principle and Hund’s rule; Orbital overlap and covalent bond; Hybridisation involving s, p and d orbitals only; Orbital energy diagrams for homonuclear diatomic species; Hydrogen bond; Polarity in molecules, dipole moment (qualitative aspects only); VSEPR model and shapes of molecules (linear, angular, triangular, square planar, pyramidal, square pyramidal, trigonal bipyramidal, tetrahedral and octahedral). Energetics: First law of thermodynamics; Internal energy, work, and heat, pressure-volume work; Enthalpy, Hess’s law; Heat of reaction, fusion, and vapourization; Second law of thermodynamics; Entropy; Free energy; Criterion of spontaneity. Chemical equilibrium: Law of mass action; Equilibrium constant, Le Chatelier’sprinciple (effect of concentration, temperature, and pressure); Significance of ΔG and ΔG0 in chemical equilibrium. Solubility product, common ion effect, pH and buffer solutions; Acids and bases (Bronsted and Lewis concepts); Hydrolysis of salts. Solid state: Classification of solids, crystalline state, seven crystal systems (cell parameters a, b, c, α, β, γ), a close-packed structure of solids (cubic), packing in fcc, bcc and hcp lattices; Nearest neighbors, ionic radii, simple ionic compounds, point defects. Solutions: Raoult’s law; Molecular weight determination from lowering of vapor pressure, elevation of boiling point and depression of freezing point. Surface chemistry: Elementary concepts of adsorption (excluding adsorption isotherms); Colloids: types, methods of preparation and general properties; Elementary ideas of emulsions, surfactants, and micelles (only definitions and examples). Nuclear chemistry: Radioactivity: isotopes and isobars; Properties of α, β and γ rays; Kinetics of radioactive decay (decay series excluded), carbon dating; Stability of nuclei on proton-neutron ratio; Brief discussion on fission and fusion reactions. Isolation/Preparation and properties of the following non-metals: Boron, silicon, nitrogen, phosphorus, oxygen, sulfur, and halogens; Properties of allotropes of carbon (only diamond and graphite), phosphorus and sulfur. Preparation and properties of the following compounds: Oxides, peroxides, hydroxides, carbonates, bicarbonates, chlorides and sulfates of sodium, potassium, magnesium, and calcium; Boron: diborane, boric acid, and borax. Sulfur: hydrogen sulfide, oxides, sulfurous acid, sulphuric acid and sodium thiosulphate; Halogens: hydrohalic acids, oxides, and oxyacids of chlorine, bleaching powder; Xenon fluorides. Transition elements (3d series): Definition, general characteristics, oxidation states and their stabilities, color (excluding the details of electronic transitions) and calculation of spin-only magnetic moment; Coordination compounds. Algebra of complex numbers, addition, multiplication, conjugation, polar representation, properties of modulus and principal argument, triangle inequality, cube roots of unity, geometric interpretations. Quadratic equations with real coefficients, relations between roots and coefficients, a formation of quadratic equations with given roots, symmetric functions of roots. Arithmetic, geometric and harmonic progressions, arithmetic, geometric and harmonic means, sums of finite arithmetic and geometric progressions, infinite geometric series, sums of squares and cubes of the first n natural numbers. Logarithms and their properties. Permutations and combinations, Binomial theorem for a positive integral index, properties of binomial coefficients. Matrices as a rectangular array of real numbers, equality of matrices, addition, multiplication by a scalar and product of matrices, transpose of a matrix. The determinant of a square matrix of order up to three, the inverse of a square matrix of order up to three, properties of these matrix operations, diagonal, symmetric and skew-symmetric matrices and their properties, solutions of simultaneous linear equations in two or three variables. Addition and multiplication rules of probability, conditional probability, Bayes Theorem, independence of events, computation of the probability of events using permutations and combinations. Trigonometric functions, their periodicity, and graphs, addition and subtraction formulae, formulae involving multiple and sub-multiple angles, the general solution of trigonometric equations. Relations between sides and angles of a triangle, sine rule, cosine rule, half-angle formula and the area of a triangle, inverse trigonometric functions (principal value only). Two dimensions: Cartesian coordinates, the distance between two points, section formulae, the shift of origin. The equation of a straight line in various forms, angle between two lines, the distance of a point from a line; Lines through the point of intersection of two given lines, equation of the bisector of the angle between two lines, concurrency of lines; Centroid, orthocentre, incentre and circumcentre of a triangle. The equation of a circle in various forms, equations of tangent, normal and chord. Parametric equations of a circle, an intersection of a circle with a straight line or a circle, the equation of a circle through the points of intersection of two circles and those of a circle and a straight line. Equations of a parabola, ellipse, and hyperbola in standard form, their foci, directrices and eccentricity, parametric equations, equations of tangent and normal. Three dimensions: Direction cosines and direction ratios, an equation of a straight line in space, an equation of a plane, the distance of a point from a plane. Limit and continuity of a function, limit, and continuity of the sum, difference, product and quotient of two functions, L’Hospital rule of evaluation of limits of functions. Even and odd functions, the inverse of a function, continuity of composite functions, intermediate value property of continuous functions. Units and dimensions, dimensional analysis; least count, significant figures; Methods of measurement and error analysis for physical quantities about the following experiments: Experiments based on using Vernier calipers and screw gauge (micrometer). Determination of g using simple pendulum, Young’s modulus by Searle’s method, Specific heat of a liquid using calorimeter, focal length of a concave mirror and a convex lens using u-v method, Speed of sound using resonance column, Verification of Ohm’s law using voltmeter and ammeter, and specific resistance of the material of a wire using meter bridge and post office box. Kinematics in one and two dimensions (Cartesian coordinates only), projectiles; Uniform circular motion; Relative velocity. Newton’s laws of motion; Inertial and uniformly accelerated frames of reference; Static and dynamic friction. Kinetic and potential energy; Work and power; Conservation of linear momentum and mechanical energy Systems of particles; Centre of mass and its motion; Impulse; Elastic and inelastic collisions. Law of gravitation; Gravitational potential and field; Acceleration due to gravity; Motion of planets and satellites in circular orbits; Escape velocity. Rigid body, a moment of inertia, parallel and perpendicular axes theorems, a moment of inertia of uniform bodies with simple geometrical shapes. Angular momentum; Torque; Conservation of angular momentum; Dynamics of rigid bodies with fixed axis of rotation; Rolling without slipping of rings, cylinders, and spheres; Equilibrium of rigid bodies; Collision of point masses with rigid bodies. Linear and angular simple harmonic motions. Thermal expansion of solids, liquids, and gasses; Calorimetry, latent heat; Heat conduction in one dimension; Elementary concepts of convection and radiation. Newton’s law of cooling; Ideal gas laws; Specific heats (Cv and Cp for monoatomic and diatomic gasses); Isothermal and adiabatic processes, bulk modulus of gasses. Equivalence of heat and work; First law of thermodynamics and its applications (only for ideal gasses); Blackbody radiation: absorptive and emissive powers; Kirchhoff’s law; Wien’s displacement law, Stefan’s law. Coulomb’s law; Electric field and potential; Electrical potential energy of a system of point charges and electrical dipoles in a uniform electrostatic field; Electric field lines. The Flux of the electric field; Gauss’s law and its application in simple cases, such as, to find field due to infinitely long straight wire, uniformly charged infinite plane sheet and uniformly charged thin spherical shell. Capacitance; Parallel plate capacitor with and without dielectrics; Capacitors in series and parallel; Energy stored in a capacitor. Rectilinear propagation of light; Reflection and refraction at plane and spherical surfaces; Total internal reflection; Deviation and dispersion of light by a prism; Thin lenses; Combinations of mirrors and thin lenses; Magnification. Wave nature of light: Huygen’s principle, interference limited to Young’s double-slit experiment. This would comprise of simple drawing depicting the total object in its right form and proportion, surface texture, relative location and details of its parts in appropriate scale. Common domestic or day-to-day life usable objects like furniture, equipment, etc., from memory. Exercises in geometrical drawing containing lines, angles, triangles, quadrilaterals, polygons, circles, etc. Study of the plan (top view), elevation (front or side views) of simple solid objects like prisms, cones, cylinders, cubes, splayed surface holders, etc. Understanding and appreciation of three-dimensional forms with building elements, color, volume, and orientation. Visualization through structuring objects in memory. Composition exercises with given elements. Context mapping. Creativity checks through an innovative uncommon test with familiar objects. The sense of color grouping or application. To score well in an examination, students are advised to prepare PCM subjects thoroughly of class 11th and 12th standard. Candidates having a good command over NCERT books can easily score good marks in JEE Main. Candidates can also go through the past years question papers to know about the difficulty level of the exam. Practice mock tests to know your weak areas. Time Management is very important. Set your time table so that you can easily decide your study hours. Divide your time well among school, tuition, coaching classes, exercise, entertainment, etc.